For those looking for self certification mortgages, otherwise known as non status mortgages you may not be too shocked to learn that they are no more, in the UK. *Please note that we do not work with non regulated EU lenders and cannot offer a self-cert mortgage. This post is aimed at those who previously had a self certification / non status mortgage OR for people whom thought they could only get such a mortgage due their employment being contract work for example. Please read the full post before getting in touch as there are options that don’t carry the risk of seeking non-regulated mortgages abroad. What are/were non status mortgages? Self certified mortgages effectively let the applicant specify how much they earned but without the need for them to supply any documents or evidence to prove that income. Whilst many unsecured loans and credit cards (if you have a good credit score) operate in this manner, when it comes to a mortgage, affordability, or rather lack of has far more serious implications. Mortgages are secured loans and your home is at risk and may be repossessed if you do not keep up repayments on your mortgage. Sadly, whilst many high earners and even TV or Sports personalities took out a self-cert mortgage and could afford it, many mortgages were given to people who had no hope of affording them. Who took out non status mortgages? In the past and before mortgage lenders became more adaptable to how people worked and got paid, those who were not on a payroll scheme in a full time role often found it difficult to get a mortgage. As such self-cert loans were designed for borrowers who were unable to prove how much they earned or more so, offer proof of a fixed and regular income. Self certification or non status mortgages were quite common leading up to the credit crunch and resultant financial crisis of 2008. 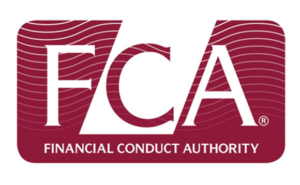 As a consequence of the Mortgage Market Review self-cert mortgages were deemed to be bad for consumers, bad for lenders and bad for the wider economy and the Financial Conduct Authority stressed that actions were needed. Why have Self certification mortgages been banned? The non status mortgage faced increasing restrictions and ultimately were banned in the UK because of the concerns that borrowers were being given mortgages they could not afford. 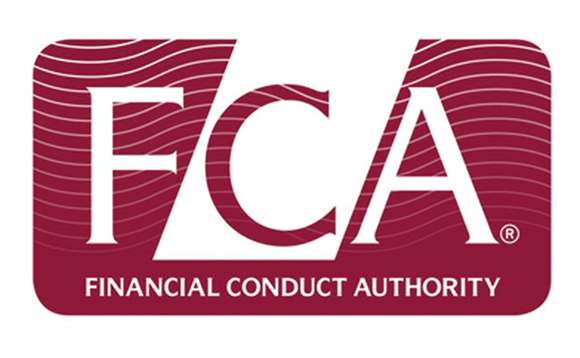 Lenders now have to make sure that borrowers will be able to repay their mortgages and as such affordability tests are mandatory under recent FCA rules with lenders performing detailed affordability checks with every mortgage application and validating the proof of your income. Although self certification mortgages have been banned in the UK there are a limited number of them being offered by some lenders based in Europe. From 21 March 2016, all firms offering mortgages in the UK (including EEA firms) will have to comply with the Mortgage Credit Directive, which requires a thorough affordability assessment based on information that has been verified by the lender. Since the foreign firms offering non status mortgages have to do so outside of the UK regulatory protections, UK homeowners – with foreign self-cert mortgages – will therefore lose important UK consumer protections. This means that there will be no right to refer complaints to the UK’s Financial Ombudsman Service or to be treated fairly when facing payment difficulties. Such firms using European Electronic Commerce Directive and operating outside of the UK regulatory protections can also only contact customers on-line, not by telephone or post. This makes it more difficult to speak to the firm about your mortgage arrangements, especially if you need help. Crucially however, any mortgage offered via the European Electronic Commerce Directive is then subject to the law of that country, and not the UK so if you do default, you cannot call upon the UK laws (and the protections they offer) to save your home from repossession as your loan is subject to the laws of the country it is issued from. Before the 2008 credit crunch self cert mortgages (also dubbed ‘liar loans’) were necessary for self employed and high earners who could certainly afford the mortgage and pass the affordability tests. Whilst being able to pass the affordability checks such high earners however, who were not in full time salaried employment could not prove their income to the same standard as someone in a salaried job and on a payroll scheme could. Hence the growth in popularity of non status mortgages as the way we work started to change. Thankfully, since 2008 the UK mortgage market has changed considerably and although the self-employed are now also more aware, having had to adapt to new rules, so to have the mortgage lenders. In 2018 and into 2019 there are many mainstream UK mortgage lenders and specialist lenders who look at the affordability and the context of the income and employment, especially for self employed, freelancers, and contract workers. Mortgage Success are a Whole of Market mortgage broker which means we can find the right product for your needs and circumstances and so if you thought you needed a non status mortgage, with or without adverse credit you may well be pleasantly surprised by how much the market has changed since 2008. Need to Switch from a Non Status Mortgage? If the last mortgage you got (perhaps some time ago) was self cert / non status and you need to review your mortgage and discuss your options get in touch. As discussed in this post, whilst the traditional self-cert mortgage is no more there are more and more lenders that are more open and understanding to todays employment and income environment, were contracting is more mainstream and adverse credit history is not the barrier it once was. The easiest thing is to get in touch, or leave your details and request a call back for free, impartial and honest advice, without any obligation.